Everyone knows that I love skating. Most people also know that I love synchronized skating too. Well last year my friends and I were a part of the Aussie Skate Tiny Teddies mini-synchro team. That was until we graduated. 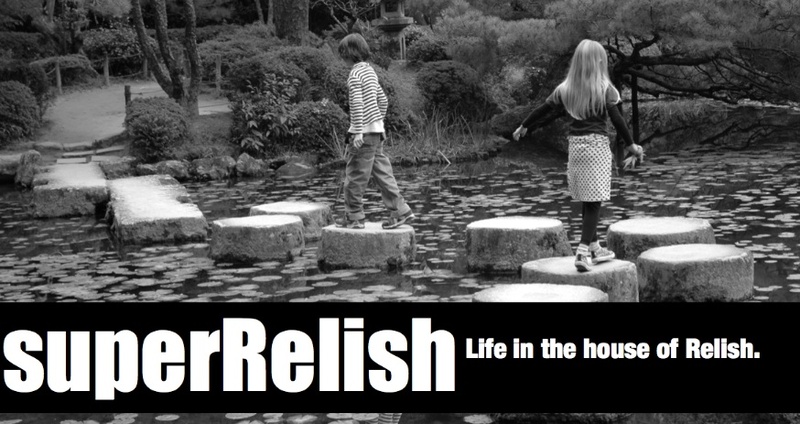 This year we have created a new team, a team of kids under 15 to skate in the Novice section. What is so different about this? Well, it means that we can compete in the state championships and maybe even in the nationals one day too. Now that we are a really real team, there are also a few other important decisions that need to be made. Things like electing a team captain and choosing a team name and uniform, pretty full on stuff. It was all very formal, nominations for captain and vice captain had to be submitted, in writing with parents approval before the election. Hailey nominated me as captain and I nominated her as vice captain. Election Day was today. First up we had to vote for captain. The list of people nominated was on the whiteboard. Everyone was given a piece of paper and pencil to write down the name of the person they wanted to vote for. (Shhh, don't tell anyone, but I voted for me - I really want to be captain and I think I will do a pretty good job of it.) We waited anxiously as the votes were counted. Guess what... I won, I was elected to be captain :-) I was presented with my captain's badge and did a little happy dance! Next up we had to vote for vice captain. There were 4 people nominated and 2 people ended up with the same number of votes so we had to vote again. 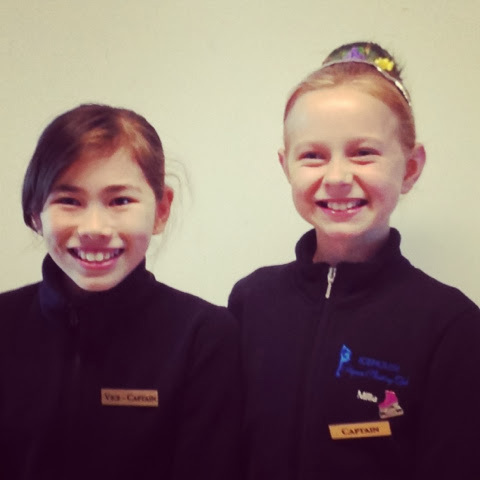 This time we had a result, my friend Hailey was elected as vice captain. Together we will lead a strong team. Now all we have to do as a team is come up with a name, oh and a uniform too. I think I am going to be pretty busy! 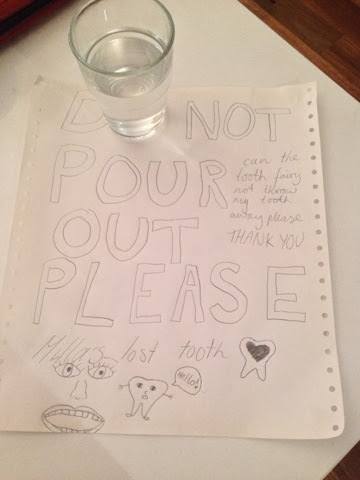 Even though I know a little secret about the Tooth Fairy, I still leave my tooth on the bench in a glass of water, hoping that a gold coin will be added to the water for me. Now I know that Tooth Fairy protocol is for the tooth to be exchanged for a coin bit I love my teeth so much that I don't actually want to give them to the Tooth Fairy, or anyone else. Instead I write a letter to request that I keep my tooth. This once was a vegemite roll! 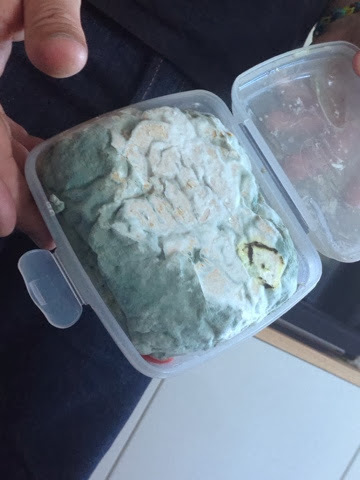 Sure the mouldy lunch happens a little too often but we have only been in this place for 4 months so we haven't discovered any other mouldy or rotten food hiding in the back if the cupboard or fridge. This discovery was way cooler than rotten food, and heaps more practical. 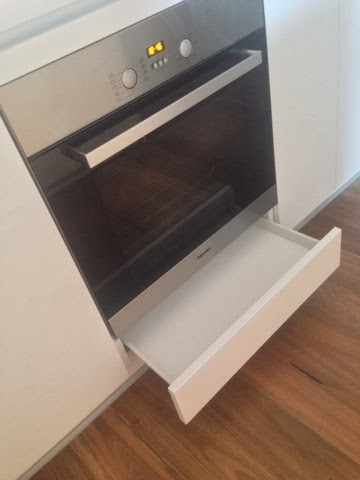 Today I discovered a new drawer, right there under the oven. Surprise, another place to hide things! I wonder if this tiny little place will have any more hidden surprises for us? 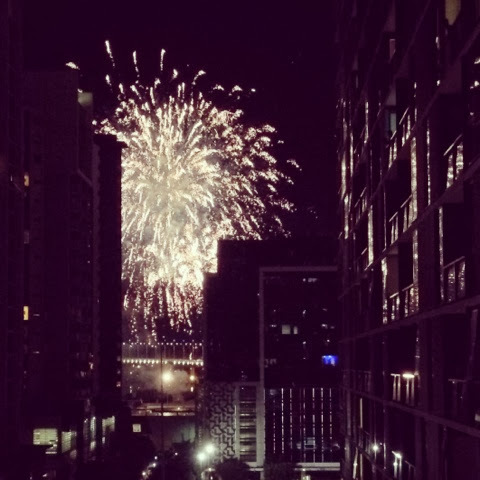 ... Fireworks at the end of the street. This is pretty much what I was looking at from my room too! I have to say that living here is like celebrating a holiday every day. I am looking forward to not having to get up early in the morning, instead I can relax and enjoy the holiday. So it had been a few days since the Color Run and still my hair is far from its natural colour. 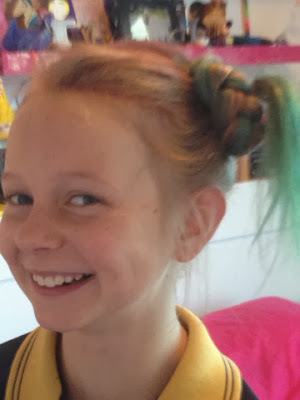 I'm not complaining, it means that I will be the most colourful kid for school photos today. Check out the funky do I rocked for my photos! 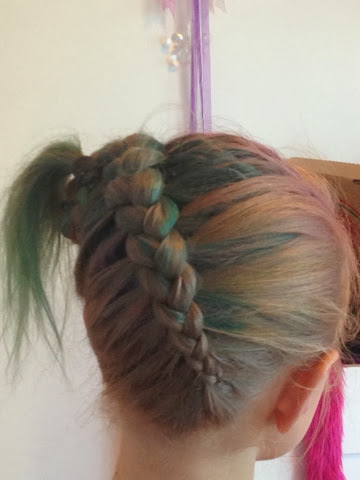 I wonder if I will get away with having hair this cool and colourful forever? 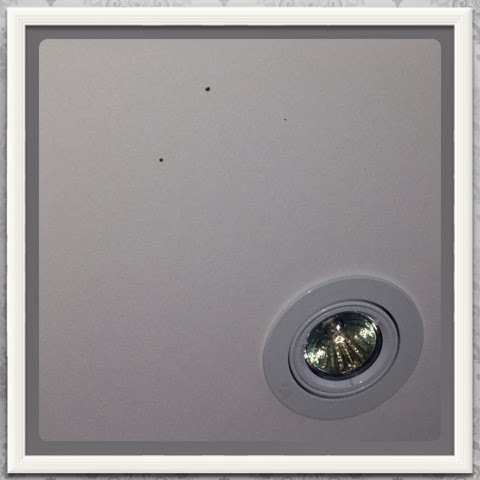 Blood spatter on the ceiling? All kinds of crazy can happen when dad helps out in the kitchen. Take this afternoon for example, we were having DIY salad rolls for lunch so dad was chopping up some salad for the rolls. A simple task really but one that ended up with blood all over the place; from the kitchen bench, over the shopping, on the table, the microwave and of course the floor too. Further inspection also saw blood splatter on the pantry and the stove, even the ceiling. Seriously, there was so much blood that you would think that there had been a murder in the kitchen. Luckily it was just a tiny cut on the tip of dad's finger! So today was my only "free" day, with no hockey, no training, no obligations so what did we do? No we didn't declare it a pj day and sit around watching movies all day long. Instead mum insist that i do a practice public transport run to get ready for school with me leading the way. We were in no hurry so we didn't check timetables, just headed out. The journey started off well, not having to wait long to catch the bus or the tram. In fact we made it all the way to my school with no dramas at all. In fact it was so drama free that we decided to stop for lunch on the way back. After lunch was when decisions needed to be made - Milla had a dentist appointment to get to. Should we catch all catch the tram to the dentist or should we return home and then just mum and Milla gontonthe dentist? Going home first was the choice that won. Of course heading toward home, the transport connection wasn't as smooth. By the time we got to the bus stop, we had missed the bus by only a few minutes. We now had a new dilemma, wait for the next bus and be a few minutes late for the dentist or head back to try and catch the tram. Seeing that mum hates being late, we headed for the tram as mum called ahead to say they were running late. Naturally the tram had just left but another tram was in sight so it seemed we wouldn't be too late. Of course that team sat for ages without moving. Finally when it did move it was so slowly we could have walked faster. What did we do next? Not sit and enjoy the slow leisurely ride. Instead we got off and walked back to try and catch a bus. To continue with the excitement, there wasn't a bus in sight and we didn't even know where the bus stop we needed was. We tried to hail a taxi but the only taxi that stopped only stopped to tell us he wasn't taking passengers. We even tried calling for a taxi but they didn't answer the phone. Clearly getting to the dentist was going to be hard work. Mum called the dentist to say that we were still stuck in Footscray. Luckily for Milla they had a cancellation so she could still go there whenever they could. So here I am, almost an hour after missing the first bus, back at the same bus stop, waiting for a bus that of course we missed by a few minutes. At least this means I get to go home instead of being bored waiting at the dentist! 1. Always get to where you are going before stopping for lunch. 2. Leave earlier than you think you need to, public transport can take forever and it always takes longer than you imagined. If it doesn't take ages you get to where you need to be you will be early and that is good too. 3. Make a decision, stick to it and see it through, heaps of time is wasted each time you change your mind. 4. Mum's brain must still be broken, she has forgotten how to make a decision! 5. Running late is better on a full stomach however, running through the suburbs with a full stomach is less fun! Most importantly it isn't what I have learnt, it is more important that I have convinced mum that I can read timetables, make contingency plans and I will have no hassles getting to school on my own next week!